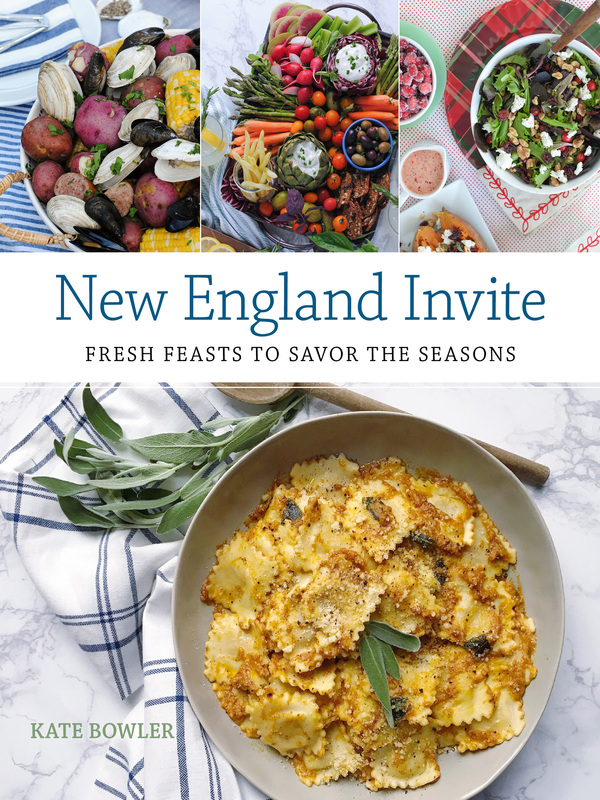 Do you have a go-to warm weather recipe? The one you default to when it’s just too hot out to cook? 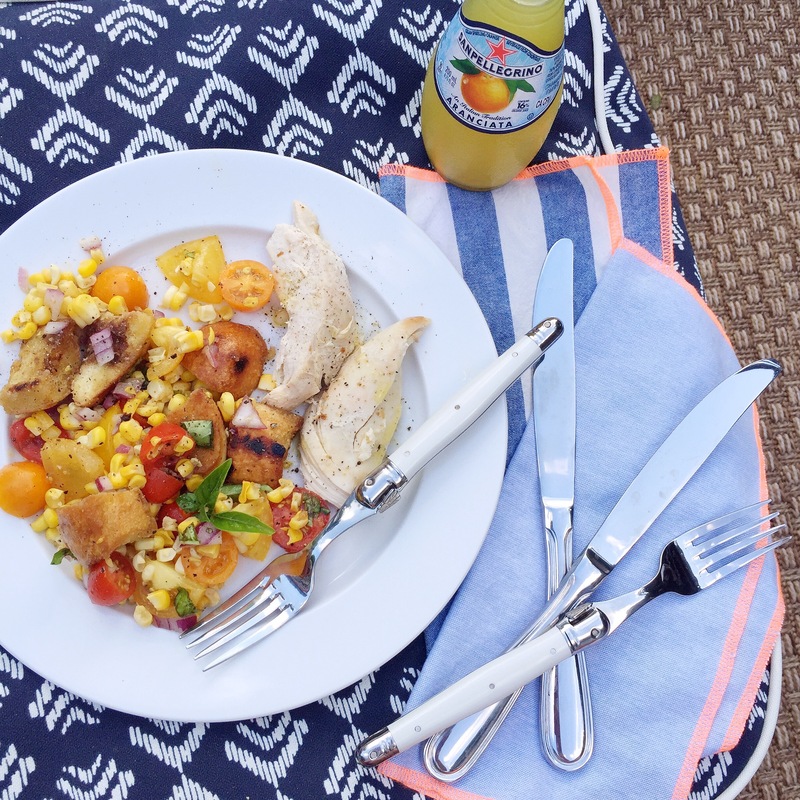 I think this is my new heat-wave dinner default, a summery panzanella salad packed with local, fresh ingredients that would make any farmer’s market wanderer proud. Panzanella always reminds me of Ina Garten, she’d say to use “good” olive oil and sprinkle giant sea salt flakes on top, so I like to channel her when tossing this together. 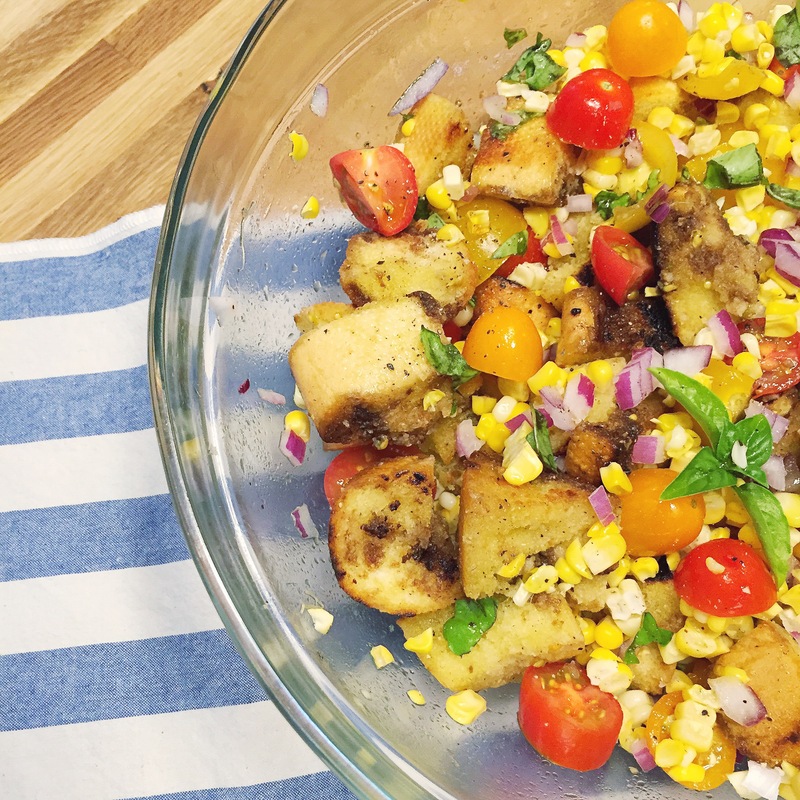 What makes this panzanella different? 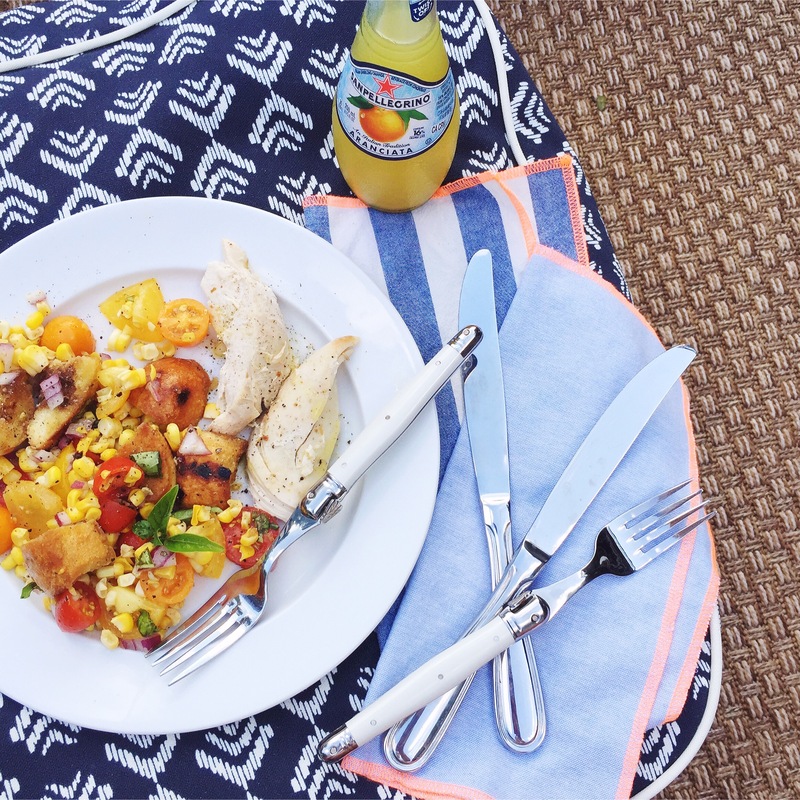 Lots of sweet fresh corn — it’s the best this time of year and adds so much flavor and color! I served it with a few pieces of rotisserie chicken (didn’t even make it, I cheated and snagged one from the grocery store! Another great way to beat the heat!) and drizzled it with olive oil and salt and pepper to dress it up the flavors. I know this dish is going to be on repeat all the way through Labor Day. In a cast iron skillet, toss cubed baguette pieces with a drizzle of olive oil, salt and pepper to taste. Toast bread until just browned and crispy and toss during the last minute of cooking with balsamic. 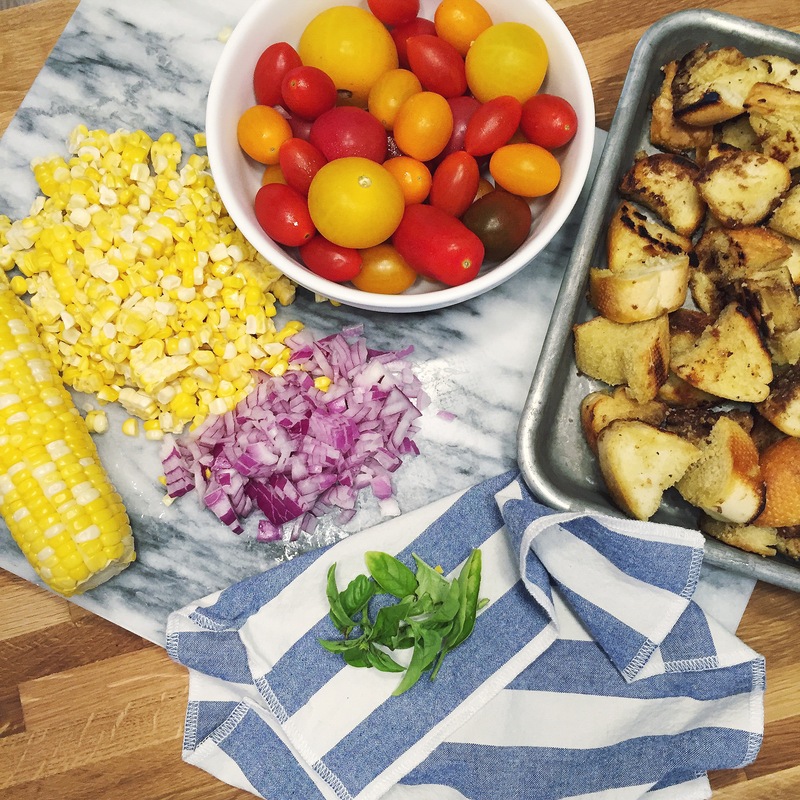 Remove from heat and let cool in a sheet pan. 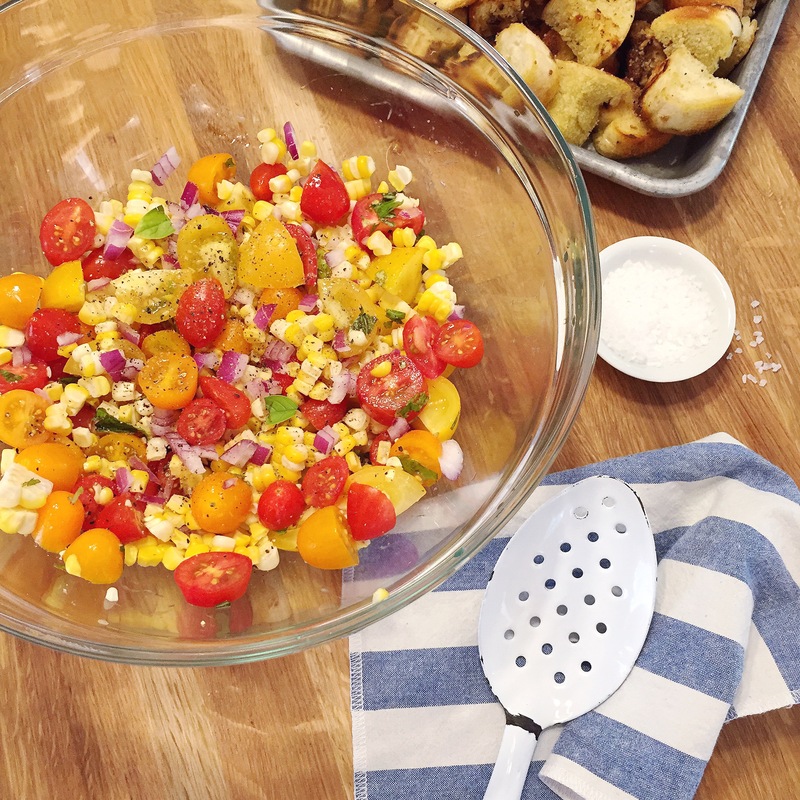 In a large bowl, combine fresh corn, chopped tomatoes, red onion, and basil. Drizzle corn and tomato mixture with olive oil and season with salt and pepper. Fold in crispy bread cubes until fully combined and let rest for 10 minutes before serving. Tortellini Antipasto Skewers. Summer Concerts and Tailgating.